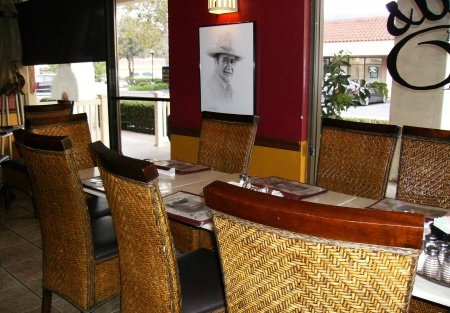 This restaurant well known for serving quality dishes is located in the beautiful Conejo Valley. With great demographics there continues to be room for well run restaurant establishments in this area. This restaurant has thrived over the many years in business until the owner passed away leaving the restaurant to a family member. Though having much success in other fields the new owner found themself in a situation requiring more time and hours than they could give so operating hours have been cut resulting in a drop in sales and the realization that it may just be time to sell. Sales are currently on the rise as owner has recently opened for dinner on Friday and Saturday nights which shows that the community is anticipating the return of the dinner offerings. So this is a opportunity for someone to continue to expand on the breakfast and lunch business that remains strong and add dinner back to the restaurant to see it prosper again. With 113 Yelp reviews and a 4 star rating that speaks for the quality of the food and the service that has been a staple for this business and has kept the locals coming back again and again. With a patio out front that attracts the patron that wants to enjoy the beautiful weather of the Conejo Valley as they dine in the cozy atmosphere of this restaurant. The beer and wine menu that is in place also leaves room to be expanded to attract those looking for a nice addition to their meal. The restaurant sits in a corner location allowing for easy access, there is plenty of parking, easy access to 101 freeway and is near a high traffic street corner. This is a great location for a family that is looking for a beautiful community to grow a thriving business and a wonderful place to raise a family OR someone that wants to take a local landmark restaurant and with the right management and direction see this place rise to its full potential. To get more information, the name, address and pictures just go to the tab below... "Sign NDA" so you can check out this opportunity. You then will be able to go by and check out the area, the restaurant location and don't miss out in enjoying a great meal at the same time. Please visit our website at SellingResaurants.com to get the name and address of this listing. Dinner on Friday and Saturday nights only at this time.